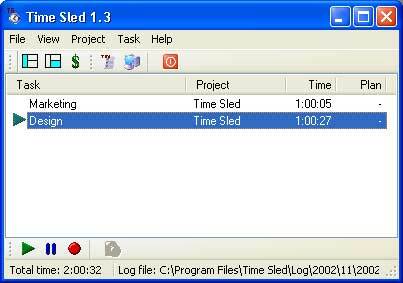 The main window of Time Sled. 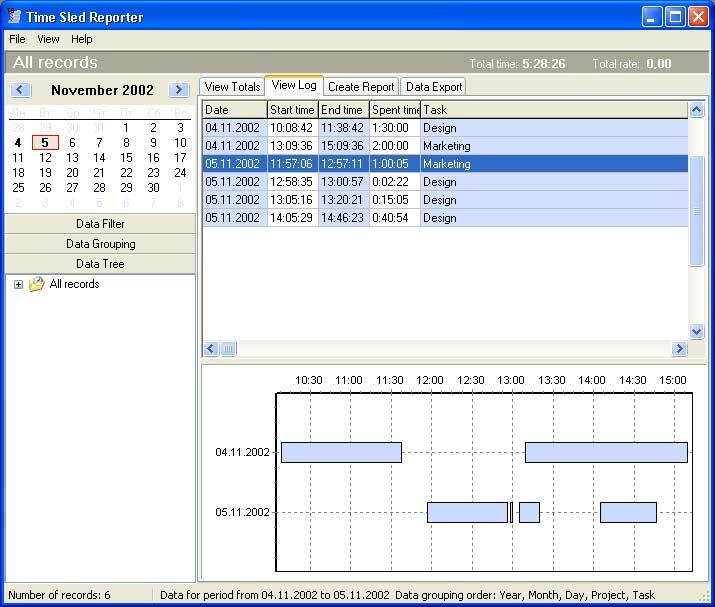 User interface is divided into three areas - Area of current tasks, To Do list and Activity log. 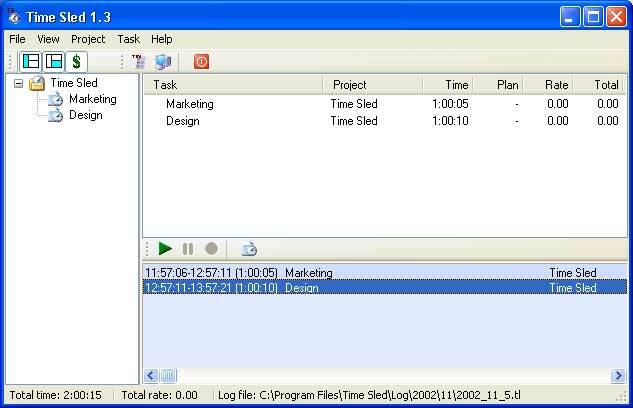 You have the possibility to hide To Do list and Activity log. 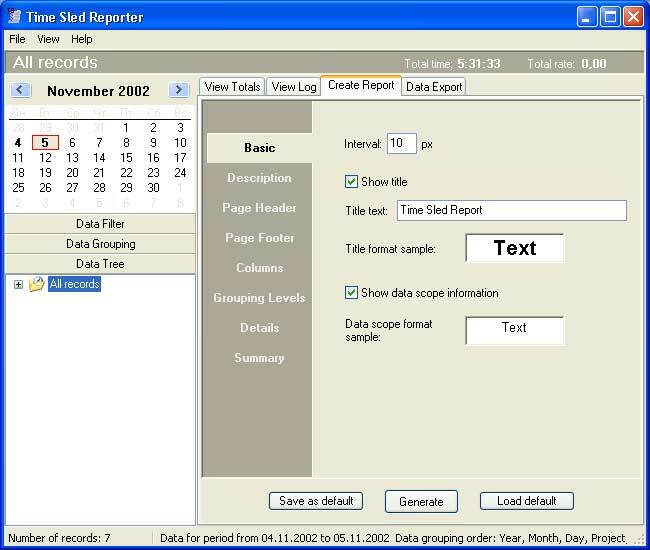 Setting storage options. 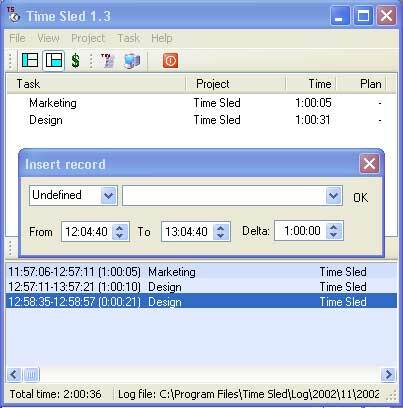 You can save activity log to Time Sled log files or to a special Lotus Notes database. 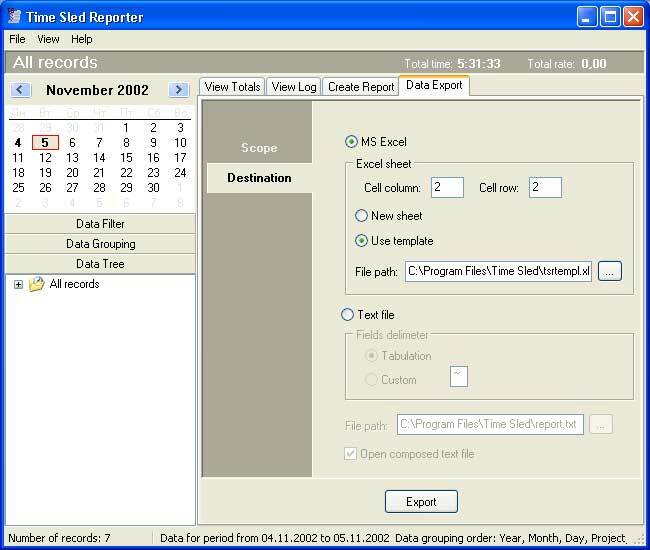 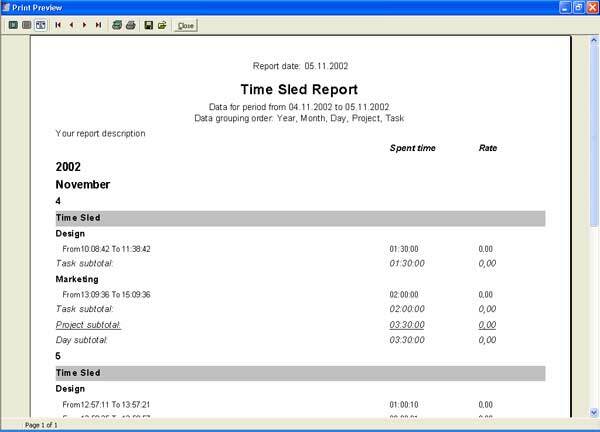 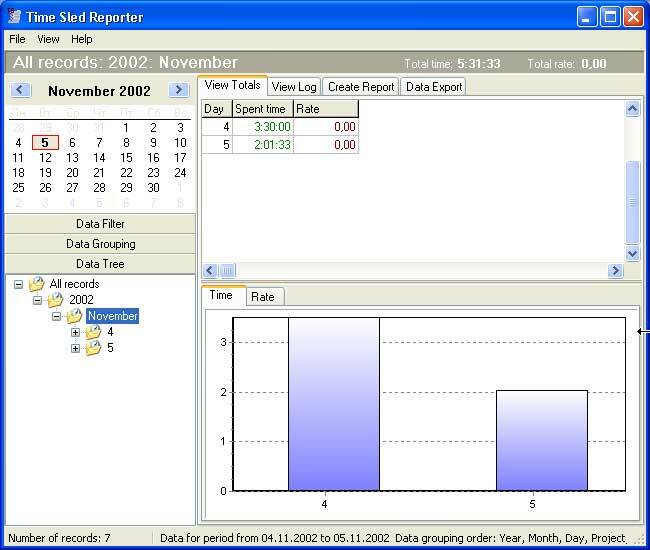 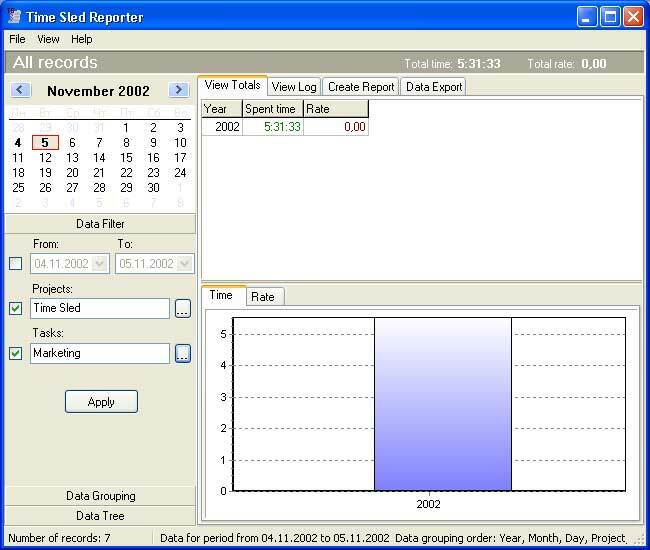 Time Sled reporter allows you to analize the activity log. 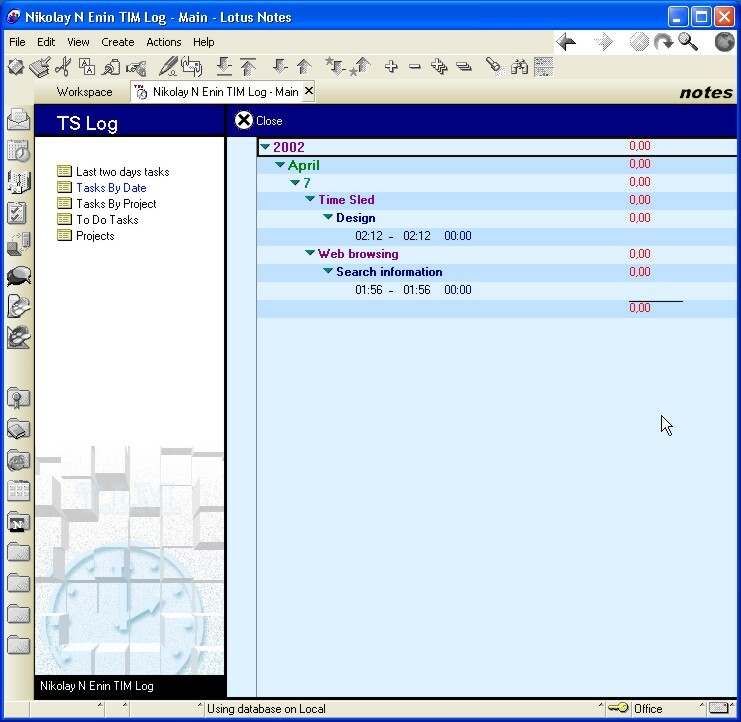 The Activity log and Gannt diagramm. 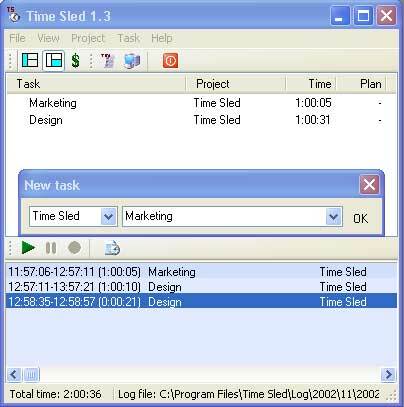 You can work with Time Sled through the tray icon menu without the main window display. 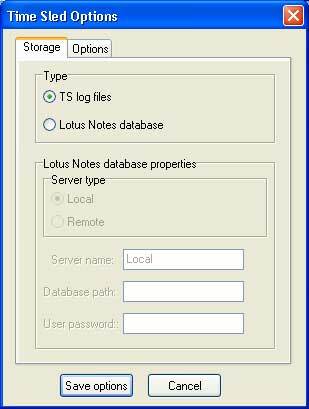 Viewing tasks log in Lotus Notes client. 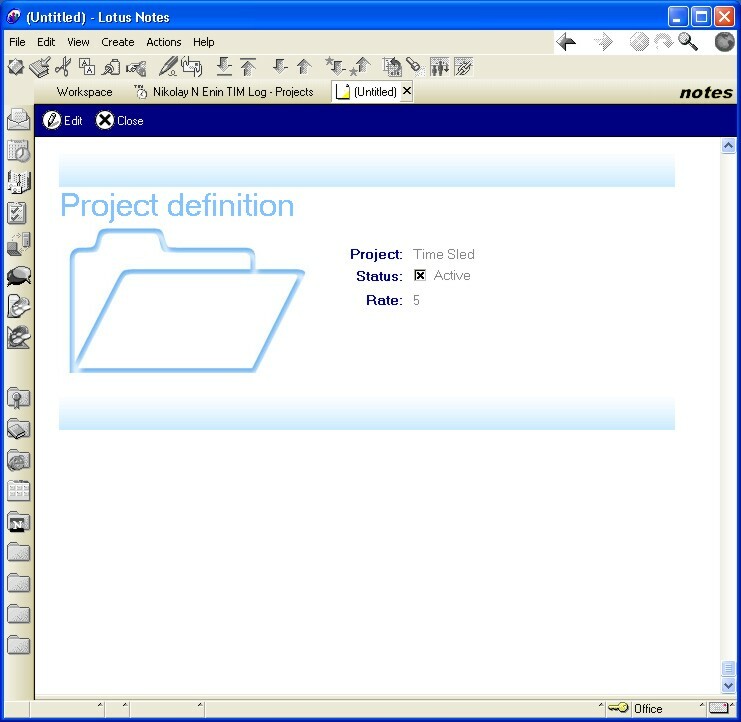 Setting project with the help of the Lotus Notes database.